Traditional jam making often involves a drawn out day of prepping, chopping, cooking and bottling the jams. While there’s something cozy and romantic about jam-making, you will most likely be left with a sticky kitchen and your whole afternoon spent. So here’s a recipe to for Cranberry Orange Jam as a small batch jam fit for the modern kitchen. But of course, you can always double or triple the recipe if you want to make more. To avoid any confusion, you might be tempted to call this a Cranberry Orange Marmalade instead of jam. Like a marmalade, it does contain slivers of orange rind in it. You also bundle the remaining orange in a muslin cloth and boil it alongside to extract all the flavor and pectin. So Cranberry Orange Jam or Cranberry Orange Marmalade, call it whatever suits you. 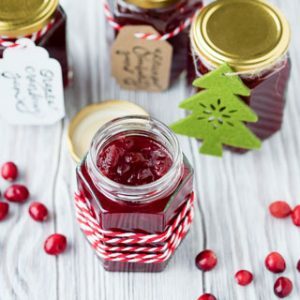 This holiday cranberry jam recipe will make just over 5 cups of jam. 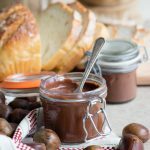 If you buy 8oz (230 ml) jars, this recipe will give you 5 full jars with a bit left over. It’s just enough homemade jam for you to give a jar to your closest friends for Christmas, and save a jar for yourself. Or if you want to savor the taste of the holidays after it has passed, it’s just enough holiday cranberry jam that you won’t be stuck with a whole pantry of it (moderation is a good thing, right?). This is a list of the equipment that you’ll need to make this Cranberry Orange Jam. It might look long, but you might have a lot of these already on hand, or you can pick up many of these easily for £5 or less. 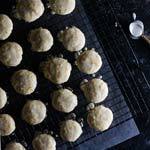 since I tend to make small batch jams, and the size makes it easy to store in our city-sized flat, but a traditional sized one may be more flexible. You don’t absolutely need a maslin pan, but it’s incredibly handy to have and worth the price (note: it’s also perfect for making and serving mulled wine). If you don’t have one, use a large stock pot with a heavy base, and make sure the jam comes up to no more than two-third of the way up when you are cooking it. Long wooden spoon / Heat resistant spatula – for stirring the jam. Jam funnel – a jam funnel has a wide base and will allow you to quickly get hot jam into the jars without mess. I use this one, which has an adjustable base, so it can fill small jars too. You can find them online starting from around £3, so it’s not a huge investment. which is digital, instant read, and works for all sorts of things in the kitchen. Ladle – for scooping the hot jam into the jars. 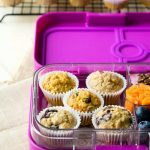 Heatproof glove / Well-fitting oven gloves / Dish towels – to move the hot jars around. You can also use plastic-coated tongs to move the jars from the oven, but given this seemingly long list of equipment, that’s one thing I don’t have. 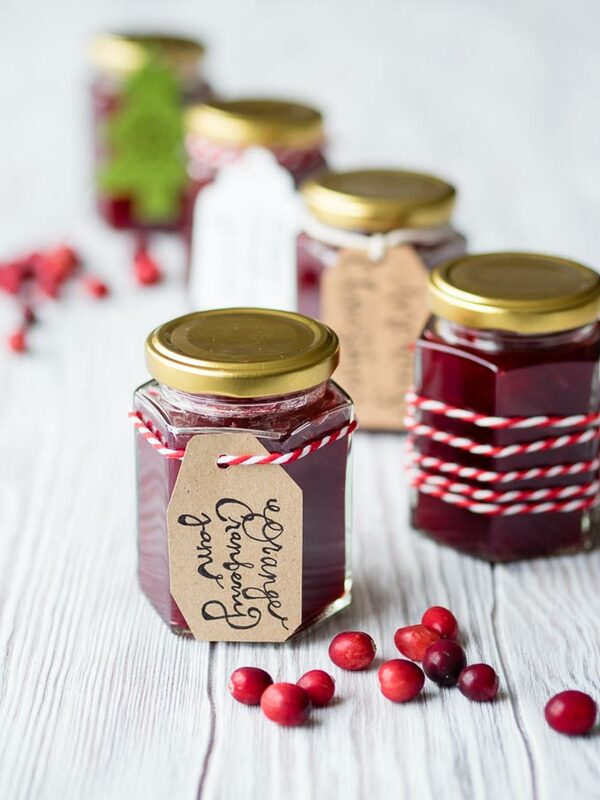 Jam jars and lids – this Cranberry Orange Jam recipe will fill five 8oz (230 ml) jars, plus a bit left over. 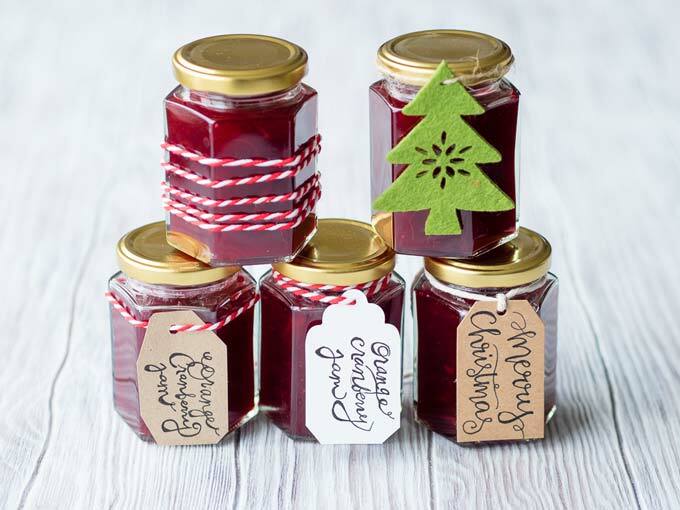 Twine, tags, and decorations – especially if you are giving these jams away as homemade Christmas gifts. Making this Christmas jam recipe is not difficult, but it’s also not a 15-minute activity. It takes roughly one hour total from beginning to end, but a large part of that time is spent just waiting for the orange peels to simmer and soften (again, this is why this jam could be called a cranberry orange marmalade instead). You can read the full recipe below, but here’s a quick recap of making this Cranberry Orange Jam in five steps. Prepare the fruits. Wash the cranberries. Use a fruit peeler to peel off the outermost layer of the orange, leaving the white pith behind. Cut the peeled orange skin into thin strips. Peel the orange, cut in half, and remove any seeds. Simmer the orange peel. Squeeze the juice of the oranges into a maslin pan with some water. Tie the squeezed orange halves in a muslin cloth and add it to the pan. Add the strips of orange peel into pan. Simmer for 30 minutes, until the orange peels have softened. Cook the cranberries. Add the cranberries into the pan. Bring to a boil, and cook, stirring occasionally. You’ll start to hear the cranberries “pop” open. Cook until the cranberries are done popping and have softened, about 15 minutes. Bring the jam to a setting point. Add in the sugar and bring to a roiling boil and boil hard until the setting point is reached, approximately 10-15 minutes. Jar the jams. Bottle the jam into sterilized jars. Process in a boiling water canner if you plan to store it at room temperature. You can half the recipe if you plan on serving this as a cranberry orange sauce right away. You can double the the recipe if you plan on giving away homemade jam as Christmas presents. You can skip the canning process altogether and save this as a quick refrigerator jam. 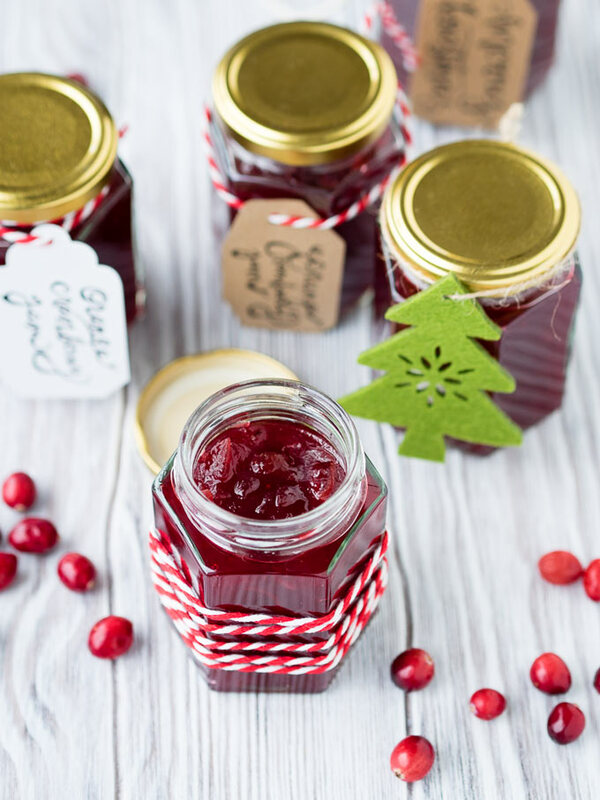 There are lots of ways you can modify this cranberry jam recipe to fit your needs. Below are a few of the most frequent questions, but let me know if there’s any way I can help. 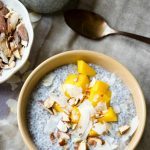 Can I reduce the amount of sugar in this jam recipe? 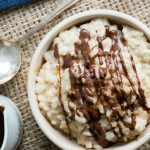 The short answer is generally, yes you can reduce the amount of sugar in this jam recipe slightly, but make sure you keep the jams refrigerated and use them up within a couple weeks. In a nutshell, the idea of jam is that you preserve the fruit by stopping the natural decay of it. Between the high concentration of sugar, the acid from the fruit, and the boiling of the jam to a high temperature, micro-organisms are destroyed and when stored in a sterile can, the jam is self stable. 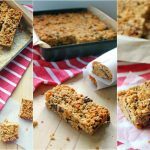 By removing some of the sugar in the recipe, you are removing one of the elements that help preserve the fruit. Sugar also helps jam set, but there should be sufficient pectin from the cranberries and oranges for this holiday cranberry jam to set. How long will this Cranberry and Orange Jam last? 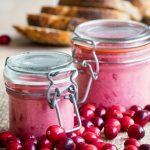 If you follow the process and do not reduce the sugar in this recipe, you can store this Cranberry Orange Jam in the cupboard for a year if you process it with a boiling water canner or pressure canner. 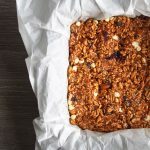 Once opened, store in the refrigerator and use within a reasonable amount of time (about four weeks). 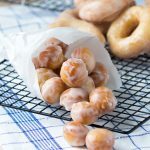 While many cookbooks and food experts use different methods of canning, including not using a boiling water canner or pressure canner, I think it’s important to note that a boiling water canner or pressure canner is recommended by the US National Center for Home Food Preservation if you plan on storing unopened jars of jam at room temperature. You can read their detailed guide about canning here: Principles of Home Canning, and specifically about Processing Jams. 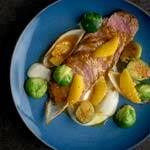 Can I use this recipe for a Cranberry Orange Sauce instead? Yes! I developed this Cranberry Orange Jam recipe based on one of my good friend’s cranberry sauce recipe (Hi Lauren!). I tweaked the original cranberry sauce recipe to turn it into a shelf stable jam. I love her cranberry sauce so so much, and I wanted to give it away as homemade Christmas gifts, and to be able to enjoy festive cranberries year round. 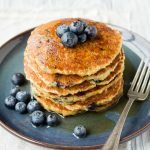 If you are using this recipe as a cranberry orange sauce, you don’t need to bring the temperature up to the exact setting point, and you can reduce or adjust the sugar amount as you see fit. Once you refrigerate it, it should set. Can this be my all around Christmas Jam? This holiday jam definitely never lasts long! 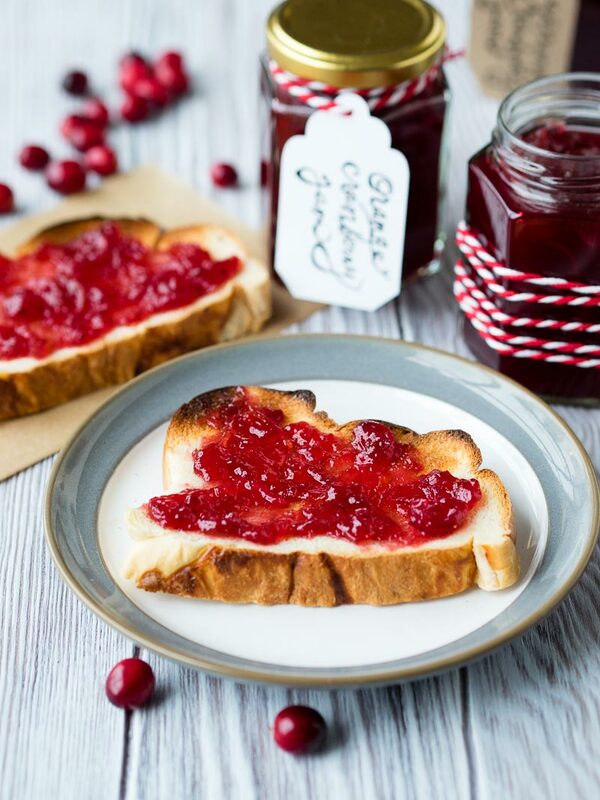 Yes, it can be your special “Christmas Jam Recipe” – it’s beautiful served as a condiment at Christmas dinner, and delicious on toast for Christmas morning breakfast. 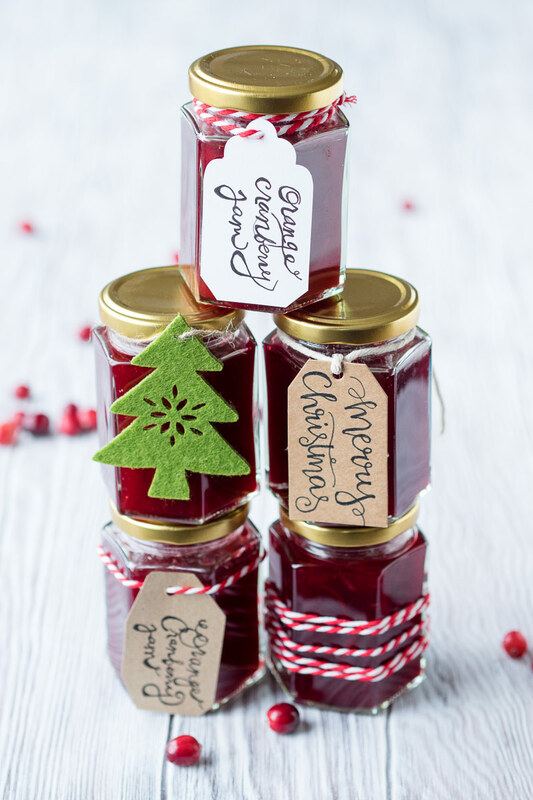 Hopefully this jam recipe can become a Christmas tradition for you as it has for us! 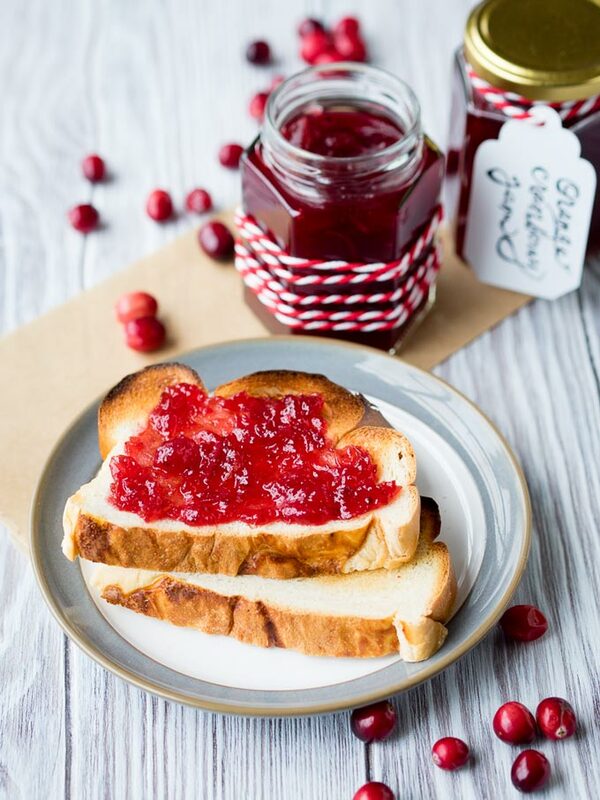 Say happy holidays with this festive Cranberry Orange Jam! Make a batch of holiday homemade jam to give as Christmas gifts, or save this small-batch jam for yourself so you can enjoy cranberries year round. You can also skip the canning instructions and serve this as a cranberry orange sauce instead. Wash the oranges and using a fruit peeler, peel off the outer most layer of the oranges. Try to peel just the outer orange layer, leaving the white pith behind. Slice the peel into thin strips, no longer than 1-inch long. It's okay if you have smaller strips. Place the strips in a maslin pan. Peel the white pith from the oranges and discard. Cut the oranges in half. Remove any seeds. Squeeze the juice from the orange halves into the maslin pan. Tie the squeezed orange halves into a muslin cloth and place in the maslin pan. Add the water into the maslin pan. Bring to a boil then turn the heat down to a simmer. Simmer for 30 minutes, occasionally prodding the muslin bag and stirring the orange peel strips, until the orange peel strips have softened. You'll keep the muslin bag cooking in the jam pot until the end. Wash the cranberries and add them into the pan. Add in the apple juice. Bring the pan to a boil again, and cook for about 10 minutes, until all the cranberries have popped and have broken apart. If any cranberries remain whole, use a spatula and lightly press the cranberry against the side of the pot until it "pops". Add in the zest and juice from the 2 limes and the sugar. Bring to a roiling boil, scraping the bottom of the pan frequently to avoid the jam from sticking and burning, until the setting point is reached. The setting point is 220°F / 104.5°C. See notes if you do not have a thermometer. As soon as the setting point is reached, remove the pan from the heat and leave it to stand for a few minutes. Remove the muslin bag. Gently stir the jam and transfer the jam into warm, sterilized jars (see notes). Seal the jars immediately. Store the jam in the refrigerator for up to two weeks, or process the jars in a boiling water canner or pressure canner. Oranges: Try to choose organic unwaxed oranges. If you cannot find unwaxed oranges, scrub the oranges under hot water. Setting point: If you don't have a thermometer, to test for doneness, dip a wooden spoon into the jam, then hold it above the surface. Twist the spoon a few times and watch the jam drip. When the jam slowly comes together into one long drip down the middle of the spoon, you've reached the setting point. If the jam drips frequently as individual drops, keep boiling. To sterilize jars: My preferred method is to sterilize jars in the oven. Wash jars with hot soapy water. Put them upside down in an oven set at 285°F / 140°C for at least 20 minutes. Store in the warm oven until ready to be filled. They will dry in the oven. Using a Boiling Water Canner: Detailed instructions can be found from the US National Center for Home Food Preservation. Love this? 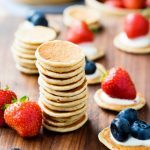 Don’t miss out on these other festive breakfast ideas! Recipe turned out great! Just 4 jars though. For today’s batch I’m leaving a lid ajar while the orange rinds simmer with the cheesecloth bag, hoping that cuts down on evaporation. Question: can I chop up the left over orange parts and add into the jam instead of putting it in a cheesecloth? Thanks for the recipe! It’s wonderful! 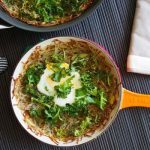 Hi Nadine – I’m glad you enjoyed the recipe! I’m not sure about chopping up the leftover orange parts and adding them into the jam. I haven’t tried it myself personally. I would worry that it would change the texture of the jam, and it may become a “refrigerator jam” rather than shelf stable. 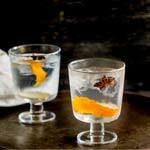 If you experiment using the chopped orange parts, do let us know how it turns out. Recipe sounds great but I did not make it yet. However, I have a question. Could I use a commercially produced orange marmalade(Smuckers) to add to the cranberries rather than using the fresh oranges and zest. I am a lazy Yank. I plan on canning it. Hi Richard. Ha! What an idea! I would love to help you save all that time. Unfortunately I don’t think it would work. I haven’t tried it personally, but I don’t think you can boil commercially produced marmalade and have it keep the same texture afterwards. And if you plan to can it, you’ll need to boil it. Time to brainstorm more timesaving ideas. This taste delicious, but I only got 3 1/4 8 ounce jars. What did I do wrong? Not enough juice from the oranges? Hi Frances, Great that you thought it tastes delicious! I’m sorry, I can only guess what happened to your batch to give you less jam. My first thought is that more water might have evaporated from your pot while you were simmering the orange peel strips for 30 minutes. Perhaps your maslin pan has a wider opening than mine, so more surface area for water to evaporate. Also, did you measure the oranges, and all the ingredients by weight? I’ve made this recipe many times, but I always get 5 jars of jam. That being said, I always use the same maslin pan so that could be our difference. I’m guessing you take the oranges wrapped in the cheese cloth out before adding the sugar, cranberries, etc? If you had when to do that in the instructions, I missed it. You can just send me an email to answer my question. Thanks so much. Hi Marsha – leave the oranges in the cheese cloth in the jam pot until the very end. There’s no need to remove it first. I’ll clarify it in the recipe. Thanks for asking! You cannot store jam on a shelf unless it have been in a water bath. This is dangerous and misleading information. Hi Alevy, Thanks for the comment. 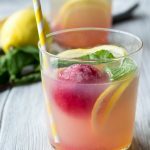 I’ve updated the post so it reflects the recommendations of the US National Center for Home Food Preservation, specifically that the foulproof method is that the jam jars need to be processed in a boiling water canner or pressure canner, if being stored unopened at room temperature. It’s always better to be safe, so thanks for pointing that out. You’ve got some lucky friends!